Today was my sad final day of my four week placement. Over the past couple blogs I have reflected on the classroom management with the goal of creating a high expectation learning environment. I believe that the foundation upon this goal is that there is no ‘one-size-fits-all’ method that teachers can use to manage behaviour. Each teacher must find their own method and style of managing behaviour to succeed. This method and style is determined by the character of the teacher but also from the unique students who make up the classroom. Today I took the opportunity to trial something that I studied in university. During an ICT lesson where all my students were busy working on drawing animations I began playing some music. Halfway through the lesson the students were very loud and continually talked to each other. So I decided to play some music from Mozart, because in my studies one reading said that his music is very good for aiding learning. In the beginning there were a number of comments such as. How long is this soundtrack? Does this song ever end? I like this song. But quite suddenly the noise and distraction level dropped significantly. Then for a significant amount of time the room was really quiet with students all focused and working. Once I stopped the music is was amazed to see how fast the students quickly got noisy and distracted again. So I tried playing another song which was more secular, but the students didn’t quieten down at all. Upon reflection I don’t think I could state that playing Mozart was more effective than other music due to the breaking of the flow between the songs. But my conclusion from this test is that I clearly did get better classroom management from playing a song whilst students were working. I was taken back by the effect that the music had and want to test this further during other learning times in a class. From my reflection I think music can break awkward silence that can be created if students are working silently. During this silence is when students would speak up because they can’t stay focused due to the unfamiliar quietness. Every day as humans we are bombarded by noises and sounds and when entered into a period of silence suddenly unease and discomfort can be created. This may be a good thing to teach students to be able to cope in but at the same time my attention would be stronger in getting my students to learn and study efficiently. Therefore even more after today I think that music can potentially increase learning. In my last post I reflected on the issue around students behaviour with specific relation to fights. Today I again witnessed another outbreak of anger between two students. The situation was sparked but a simple action of one student being helpful but having a bit of fun and silliness at the same time. But as soon as objection was shown against him he quickly got very threatening and serious. This resulted in the moving of objects with one student falling to the ground. In this situation the initial student was not able to manage himself and let himself get angry very quickly. Therefore this resulted to the student being quite calm to getting angry quickly. The key learning goal is that students needs to learn is to be able to control their feels and not react in anger. From this event and earlier ones it was sad but eye opening to the reality that if these students continue down this path then it might lead them to possibly ending up in a jail cell. This fact is extremely sad and empowering to push on harder training these students to deal with their anger. But again it highlights the importance that each teacher needs to provide a safe and learning efficient environment because students won’t learn well if they are scared or feel uptight. One of the biggest factors in teaching is class management. This factor in the Graduating Teacher Standards is stated as teachers must use professional knowledge to plan for a safe, high quality teaching and learning environment. In order to create this environment class management must be controlled and exercised really well. Over the past couple weeks I have witnessed a number of fights occur between a group of boys. It is has been really interesting to observe and be a part of the teacher conversations around this issue. One direction that my AT is handling this issue is through continual relationship with the students. They key aspect that all the teachers are trying to teach students is the ability to walk away from a heated situation and then deal with it later in a controlled manner. Progress has been seen but it is still a big issue with fights every day this week. After an incident today my AT was able to talk through some issues with one of the boys. During his discussion he described how his friendship was strong because they were nice to each other. This is one of the key issues that these boys are facing because they are continually being mean to each other then question why people don’t like them. What I have been learning from this is firstly how important it is to build and maintain a strong relationship with each student. But then to use language around personal disappointment and relationship to help guide students. One of my goals during this placement is to understand what personal, social and cultural factors in relation to multiculturalism have influence on teachers and learners. This goal flows from Graduating Teacher Standard three that states how teachers must understand how contextual factors influence teaching and learning. Over the course of this placement I have continually been made aware of the lives that some of my students live. Today after a number of conversations and circumstances I reflected on this factor. One boy brought his mother into school with him today to apologise and put right an issue that had been making him feel guilty all week. The incident happened last week and the students guilt has built till today were he told his mother about what he had done. This really made me think about how as a teacher I so often may have no idea at all about what is going on in a students life and home. It makes me think how careful, considerate and loving I need to be towards my students. But in order to teach effectively this judgements have to be made so many times throughout the day. Which therefore makes the process even harder. I think that this ‘judgement’ will come better over time when a relationship is built and students are able to trust their teacher more. Another situation which made me think about this was during my reading lesson I had one boy who just couldn’t focus and I kept trying to tell him to read and do his work. I thought he was definitely tired but found out at the end of the lesson that he was really not very well. He was then sent to the sick bay at morning tea and went home. This highlighted to me again how important and difficult it is for a teacher to continually be making judgements, and conclusions from observing and talking to students. This is an area that I know I am not proficient with yet but will come with experience. Today was the start of a week of full control teaching. The day went smoothly with no major difficulties which would also be a result from already having a couple of days full control. Earlier in a number of my blog posts I reflected on how interaction with students builds relationship and therefore aids learning. This relationship is something that is key to teaching and is covered in Graduating Teacher Standard Six. But what makes this relationship even more interesting is how cultural factors have an effect. In this school I previously mentioned how some teachers interact with their students on quite a fun/informal/cheerful/ teasing way. Earlier in the weeks I was interested in this relationship model so took deliberate opportunities to have fun with the students. Then over the past couple weeks I have continued to build this relationship with my students. Being full control today showed me a bit of the result of this relationship. Particularly with the students that I have built this fun relationship with I found management way easier. But also in general most of my students were really well behaved and related really well. During the day I was able to continue to have ‘fun’ with some students by teasing them but then was able to quickly draw them back to focusing on their learning. I am beginning to really see how this informal relationship is really foundational to building a connection with these students. I am interested to see how this furthermore develops as the week progresses. Another relationship/behavioural tool that I used throughout the day today was positive reinforcement. I have used this earlier in the week but didn’t find it very effective. Whilst today I found that it worked really well and I was able to manage behaviour quite easily. I think that a connection needs to be made to the effectiveness of this reinforcement and the level of my relationship with students now. As students have a better relationship with me I think they are beginning to care more about what I think they are doing and how they behave. Again this draws back to the foundational importance of building a positive relationship in order for effective learning to occur. Over the past week I have taken most of the teaching. This has given me a new understanding and mindset into teaching that I don’t think I have had before now. During this week I have had a number of lessons where I have evaluated them and been unsatisfied at how they went. This is due to the student not learning as efficiently as I want them to or being unable to complete their work. Over the week I have begun to really question my teaching and ponder deeply on how can I teach these students more effectively. I believe that my attitude is changing from just satisfying university/associate teacher requirements towards really caring about the students I teach and really wanted to do all I can to teach them well. During the week I felt more and more like a teacher because I was able to see what wasn’t work then suggest a different way to my AT rather than just do what I was told to do. This is really empowering because this change of attitude is preparing me to be an effective and proficient teacher of my own class. During teacher training I believe that as a student teacher it is easy to become so caught up in trying to always please your AT and lecture that you don’t get to think for yourself. This therefore has the power to weaken the student teachers impact and effectiveness. But this is not to underdetermine this procedure during the first year or so of teacher training because as a student teacher you do not have the knowledge needed to teach effectively. Rather during teacher training students need to go under a change of mindset and focus during teaching. Student teachers do need to see their priority changed from university and lecture to the student. The student should be the focus of all teaching and learning. It is such a great opportunity to be in a school that is leading the way of incorporating ICT into learning within New Zealand. One of my goals whilst at this school is to gain understanding of how ICT is used and managed. Today and over this past week I have seen a couple issues around using ICT every day in the class and how these can be handled. A tool that was actually established at this school and is now worldwide with its base in the States with Google is Teacher Dashboard. This program allows the teacher to see what each student has open on their netbook and each student’s emails, drive, files, blog and activity. At anytime during the day the teacher is able to access this information from their personal laptop. One day earlier in the week one teacher who actually was away from the class for the day viewed the class and discovered that one student had a number of gaming tabs open. After a quick email to my AT the information was delivered allowing the teacher to deal with the situation. This resulted in the student losing his laptop for the day and having to complete work during lunch. Then again today my AT was away and emailed me during the day to say that he had just seen one of my students had a couple of youtube tabs open. These two experiences highlighted a major issue that comes with personal students netbooks. How can teachers be sure that students are focused, completing their work and not accessing anything inappropriate? This is also where teacher pedagogy has to change in order to align with this way of learning. I have found myself having to wander around the students all day ensuring that they are working and not distracted on their netbooks. This therefore means that the teacher has to teach but also ensure that students don’t get distracted. With tools like Teacher Dashboard, strong class rules and consequences I think the classroom teacher can be well equipped to deal with this issue. Today I reflected on Graduating teacher standard six which states how teachers must develop positive relationships with learners. During the day there were a number of occasions where I felt that I didn’t have the relationship with my students that I needed. As a student teacher I think this is a common and nearly unavoidable thing but it is interesting to reflect on how I will be as a teacher. I think the most important things are that you have a relationship with a student so then behaviour can me managed way better. For myself over the past few weeks I have found myself not wanting to be too strong because I don’t want to lose any connection that I have begun to build. Then another occasion that became very obvious to me today was how I didn’t feel like I had an establish relationship in order to comfort a couple students. On two occasions students got hurt and upset but I wasn’t able to do anything. Firstly because I don’t have a relationship with either of these students or with the offenders against them. When I tried comforting and seeking to hear one students’ problems I didn’t get much response at all. And whilst he didn’t feel like talking to me I also didn’t feel like I had the relationship with the other student to therefore deal with it efficiently. Therefore I refrained from both situations with the intention that my AT would be able to deal to the situations much better. So after these experiences it makes me think about how will I establish a relationship with each one of my students so then I can deal to situations efficiently? I think one of the keys to this issue would be time. After time as a teacher you are able to interact with students in a positive way which makes them feel secure. They also become dependent upon the teacher because there is no one else in the school who cares as much. 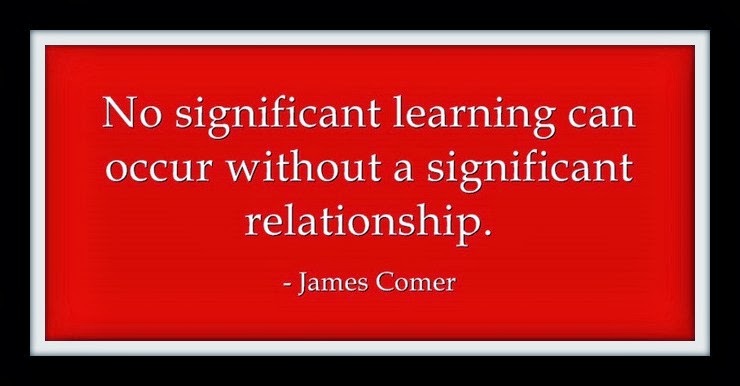 This leaves me with the thought that I need to build a strong relationship with each one of my students from day one. And that also as a student teacher I will never be able to have the same relationship therefore effect as the class teacher. Today I had quite a rough day where I felt really unsure of what to do about behaviour at times. In relation to this I want to reflect against graduating teacher standard one in regards to knowing what to teach at an appropriate level. Today during mathematics I really struggled to keep the interest and focus of students on solving the problem. To begin all students appeared to be working hard but they all quickly lost focus. I even modelled the framing of the question really well in the beginning by writing down the question they need to ask and find out. Students didn’t even write these down very efficiently which made the lesson even begin hard. Through the lesson I was beginning to wonder if the problem I had presented them with was way above their level. After looking at the problem, yes it was quite complex but simple calculations. This really highlighted to me how students can quickly get overwhelmed and give up. Whilst actually the problem is quite simple. Therefore I don’t think I have a very good understanding yet of what problems relate to these students’ level. This is something that I will get better at as I am more immersed in the teaching world. After discussion with another teacher about how to do to carry on from this lesson we decided that to model a question may be helpful. Also slowing the process down and making the students do each step by step might help them gain understanding of the process they need to do. Otherwise an easier question might be the answer to avoid a repeat of todays lesson. Today I have been reflecting on my own teaching and practice within numeracy and literacy with connection to graduating teacher standard one, teachers must know what to teach. In my numeracy lessons over the past week or so we have been problem solving. It has been really interesting to continue on with my AT’s teaching model and reflect on how effective I personally find it. The content that I am teaching is definitely above their level but they need the challenge to progress. One thing that I found in this weeks lesson is that my students are losing focus really quickly because the content is too hard and they give up. From discussion with my AT about this in regards to other levels, we discussed about where to pitch a lesson. Either to pitch it high and some student are engaged whilst others aren’t or you pitch it lower and more are involved but some aren’t challenged. The evaluation from this discussion is that my AT personally finds it more beneficial to pitch a little lower because he commented that it is extremely hard to regain students who have got to a point where they give up. When students have given up they quickly close themselves to ever been able to accomplish that task. Whilst if students don’t get to the point of giving up then they are able to complete their task with a positive attitude therefore increasing self-esteem and motivation. As mentioned, this thinking has two sides though and a balance really needs to be found. My thinking is that students need to be challenged whilst also feeling like accomplishers. Which leads me to thinking how can as a teacher I facilitate this learning. Is there a way that I can challenge my students without them giving up and becoming closed to the task. This I do not know, but hope to develop throughout my teaching profession. Today I want to reflect on my lecturer visit and how as I training teacher I am satisfying graduating teacher standard seven, in regards to the development of my teaching philosophy, ICT, and pedagogy. From a number of different areas today I felt like I progressed immensely in my teaching journey. I think a major contributor to this factor is my reflection on my teaching and students learning and the control I have to teach them what I resolve as best. It was really empowering to start seeing my students learning or not learning then thinking through what I need to do to resolve it. Then being able to implement this thinking without the total control of another teacher. My attitude of being a student teacher is rapidly changing as I now don’t find myself with the focus on satisfying university requirements (to a certain level). But rather I find myself with the central focus around learning to become an working teacher with also an emphasis on what my students need rather than what I need. This change in viewpoint is helping me to be more active and feel more involved in these students lives. Another aspect of my teaching philosophy that was developed today was in relation to the use of ICT in learning. At a staff meeting today presentations where made around how Ipads are being used in lower year classrooms. It was really interesting to combine this with the pedagogy of learn, create, share. Within this pedagogy there is huge emphasis on our learners being producers rather than consumers. It was interesting watching a TED talk on how if our students are consumers then they will be controlled by ICT whilst if they are producers then they will control our ICT. This was a really interesting point because I think this can align with the importance of teaching with ICT very strongly. In this meeting there were also a number of Apps mentioned and how they are being used in classes. One in particular is called ExplainEverything. With this app students are able to complete worksheets, use it as a whiteboard, present ideas and other things all with the ability to record the students working and voice. It was mentioned the power of this in regards to the teacher essentially being able to listen to what students think. Students can be sent off to complete simple worksheet work outside or at their desk with no teacher around them. But then the teacher is able to view their working to see what and how they solve problems, whilst also hear their thinking whilst doing so. This tool appears to be hugely powerful to teachers in guiding individual students’ thinking and learning. Though I also consider the pedagogical changes that this implements. This brings a change because now teachers are potentially able to hear what all students are doing then offer them assistance where they need it. Also teachers are able to ‘hear’ what students are saying which might often be unheard due to students not speaking whilst around a teacher or in a group setting. I am excited by the possibilities of this App specifically and consider how I personally could implement it in my teacher effectively and efficiently. This past week has been extremely beneficial to my teaching journey. During the past week I have had my own class for a day, gained professional development in areas of including dialogue in teaching, gained further understanding of implementing ICT in the classroom, and deepened my teaching philosophy. As each week passes I feel more confident, prepared and ready to become a qualified teacher. This week I was able to gain more understanding in the pedagogy of learn, create, share which continues to connect with my teaching philosophy. This pedagogy aligns itself perfectly with the use of ICT but I am beginning to question how such a pedagogy could be used in a non-digital classroom. By requiring students to create then share, students are able to realise that their learning is not for vain and that through creating they are able to teach themselves, their peers, and other people. This appears to me as very valuable because for me it resonates more as what is required in the world but also it steers away from things like mundane worksheets. In an non-digital classroom I wonder if this pedagogy could be implemented in a small scale model such as having a single class blog that some work gets displayed on. I do not know how effective this would be though. Another aspect of my learning this week has been to do with the use of dialogue in numeracy and literacy. Through some dialogue tools students can be challenged to think for themselves and think deeper within concepts and content. This could prove very helpful to get every student thinking for themselves and learning productively. I haven’t had the opportunity to use these tools much but hope to do so in the coming week. Today I had an awesome opportunity to experience being a teacher for a day. A reliever was planned to assist me whilst I ran most of the day but my reliever never turned up so I ended up having the class to myself for the day. Even though I was running my class I had other teachers in the room to assist me if I needed so it was a perfect opportunity. The day went really well, with no major problems and learning occurring. Reflecting on this day the first thing that is highlighted to me is my interaction and connection with my students. During the day I was able to manage students well with enforcing my authority by simple repeating methods. Then throughout the day I believe that I was able to get students to complete their work well. But I felt like I didn’t interact with my students beyond ordering them to complete their work. This reflection has made me consider how as a teacher I want to have a positive relationship with my students beyond only ordering them to complete work. I need to have a relationship and knowledge of each student in order to create a positive environment and also encourage individual learning. During the day I felt like I needed to have an individual focus on each student which I felt that I didn’t have. In order to have this I think I need to do two things. Firstly I need to have established a positive relationship with each student which would come from deliberate interaction and interest in each student. Secondly I need to create an awareness and knowledge of where each student is at academically. Once I have knowledge of what each student knows and is learning then I would be able to individually guide each student into further learning and also keep them more focused. As a student teacher I think these two things are hard to gain because of the short time being involved within the particular class. One thing that I do want to try to begin to gain is having an understanding of what level each student is at. Therefore over the next couple weeks one of my goals is to gain understanding of what level a couple students are at and what their specific learning needs are at each level. Today I revisited a number of concepts that I tried to teach in a mathematics lesson yesterday. My goal for this placement in regards to standard three of the Graduating Teacher Standards is to understand what social and cultural factors have influence on teachers and learners. From reflection on my previous lesson I concluded that I progressed through my material way too fast for these students which therefore left a number of students confused and unsure of what I taught. The concepts I was teaching were ultimately a lot higher than they were currently at but this material relates to our integrated topic and they need a good challenge. Therefore today when I revisited the lesson I slowed the process completely down and went through the processes step by step. This here produced exponential results in the beginning with students ‘clicking’ and gaining understanding in the content. As I progressed through the lesson students understanding and concentration and understanding began to drop. At one point a student sighed, giving up which escalated to the whole class. Straight away my AT jumped in and encouraged the class by saying that they don’t just give up but continue to try. He also mentioned that if they went to their higher level peers then they wouldn’t understand what they now know. It was amazing at this point to how the students’ attitudes changed and they continued to focus. From discussion with my AT he commented on how my ‘fast’ teaching would have been perfect for a high decile class but just the fact that these students are so far behind. He commented on how these students can not handle very complex issues because they do not come from a background of such things and are behind in their overall understanding. The change of mindset, teaching and pedagogy needed for these students interests me and I want to refine my practice over the next few weeks in regards to this. With particular focus on pushing my students but delivering material in a step by step slow process. In regards to the first graduating teacher standard, teachers must know what to teach and how to teach. The process of how to teach, therefore pedagogy, is something that is extremely varied and there are many ideas, thoughts and reasons to teaching in certain ways. Today I continued to reflect on a pedagogy that I was presented to at the after school staff P.D meeting. The theory presented was, TALK, which is academically productive talk to support students’ learning. The emphasis of this is to have discourse-based instruction. Within this it is broken into five tools, re-voicing, repeating, eliciting students’ reasoning, adding-on and teacher wait time. These tools appear to be simple but extremely good for effective teaching. I think as a teacher I often resort back to a transmission mode of teaching easily. But this mode of teaching does not challenge students to think or to challenge themselves. When hearing about these tools for discourse within a subject they resonated with me really well. Initially they were presented as tools to use in mathematics to get students learning strategies but they also align really smoothly with literacy as well. In my reading I want to start experimenting with some of this tools. For example during reading I want to try eliciting students reasoning by asking students whether they agree or disagree and why. Then also to use adding-on to encourage students to add on to their peers comments in order to create richer and deeper conversation. Therefore over the next couple weeks I want to try implementing this pedagogy and discover whether it increases students participation and learning depth. Continuing from my last blog reflection post I again today focused on Graduating Teacher Standard six in regards to positive relationships with learners. Prior to today I have reflected on how my AT often associates with his students in a joking and fun manor. This is due to the fact that a number of his students are undoubtedly ‘hard’ students and as a teacher he needs to have a positive relationship with his students. Today I observed a number of occasions where my AT have fun with his students, for example, making faces at the students, drumming on the table, and teasing a couple students. Then on another occasion he managed behaviour by stating that they wouldn’t treat him badly so don’t treat this other teacher badly. The response to this was instant, strong and students complied with his instruction well. I wonder if this response would be less, especially from the tougher students, if he didn’t have the same strong friendly, joking relationship. Today I also personally began to implement this relating in order to study the results and effectiveness. I took lots of opportunities to have fun with the students for example, teasing a student with her shoes, talking about apples, racing students to fold their milk box, playing badminton and other joking around. It was quite amazing because I saw instant results with one student, better behaviour from others and also really did have such an enjoyable day. During badminton I joined in from the beginning and began playing around and having fun with the students. Then one student who I have had a bit of behaviour difficulties with never had a very developed relationship asked me to be his partner. During this time we spent playing together we laughed, goal set and I encouraged him lots. Then actually in the afternoon I had this particular student in mathematics and his behaviour improved immensely from previous lessons. He did as I told him straight away and wasn’t anywhere as much of a continual battle as other times have been. Therefore so far my investigation has proven to be extremely effective but I will continue to test this out. Standard six of the New Zealand Graduating Teacher Standards states how teachers must develop positive relationships with learners. Today I spent time reflecting on this with specific relation to cultural factors. Firstly I think that if a teacher does not have a positive relationship with their learners, then learning with ultimately not happen. I think learning is something that is actually reliant upon many outside factors. For myself if I am in a setting where I feel anxious, ashamed, minor, disrespected, scared or sad I do not think I would be able to learn effectively. Recently I had an experience in class with my peers where I felt dumb which then resulted with me losing all focus on the lecture to pondering feelings. This personal example goes to show me how powerful connections with other people are. Bad connections and experiences amongst students is something that will always occur but this is where a teacher has opportunity to aid each student. In these sorts of times if a teacher is able to offer security and reassurance then students can regain themselves and learning can continue to occur. From discussion with a couple other teachers it was interesting to listen to one of their keys to this. Within this school there is a number of students who come from difficult backgrounds and therefore can be difficult and hard work to manage. As a teacher with these types of students it would be so easy to not connect with them much. But this can actually be a lead for them to continue their behaviour. To do with this issue my AT said that, your behaviour management can only be as good as your relationship. Therefore there is huge importance for teachers to have good relationships in order to run an effective classroom. One way that these teachers said they do this is by treasuring, looking for and making the most of opportunities to relate, laugh and have fun with these ‘harder’ students. During my time at this school I have observed this teacher/student relationship and it does appear to work effectively. 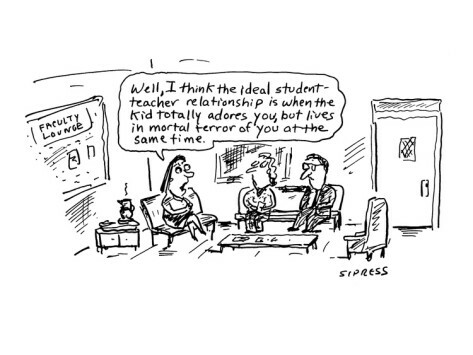 I also think that this type of relationship is key to teacher relationship especially in low decile school environments. Over the next couple weeks I want to experiment with this relationship model to see how effective I personally find it. Over the past week I have reflected on a number of my goals yet will seek to further develop my understanding and knowledge over the coming weeks. This placement so far has provided me with valuable learning which will shape my teaching. My final goal in regards to standard seven is around developing my philosophy of teaching with specific focus on pedagogies and ICT. Over the course of this week I have looked at the pedagogy of learn-create-share. This pedagogy really fits well with me and I think it has lots of potential to teach students to live in the world. By learning in order to create then share it gives a wider purpose that students can recognise the importance of it. But at the same time through creating and sharing students are able to learn from each other effectively and ultimately teach themselves. I think that this pedagogy is what I would seek to teach out of and implement within my future classroom. Today and over the past couple days I have taken specific interest in discussing with my AT about what content knowledge is appropriate to this year level and how to source it. Valuable knowledge that I have learnt is in regards to reading planning. This school operates using a fully integrated curriculum so everything is connected to the topic of the term. In order to choose reading material for my class my AT uses the students reading age from past results such as e-asTTLe. Then he uses the online journal search database and searches for any book with the current theme. Once he has found some journals he selects the journals closet to reading age then plans his reading from them. In my AT’s guided read program he uses one journal for a week where the teacher directs reading and question of a couple pages per day. Then the students are given a follow activity which is based on giving students further development in the learning objective. This appears to be productive way of organizing reading but my concern is that during this reading lesson students are only reading a couple of pages max. When the students are reading with the teacher a lot of questing and talking takes place but little reading. My thoughts are that this discussion is important because students are learning skills within reading but wonder if from the discussion better follow up needs to take place. Over the next week I want to create follow-up activities that will require students to read further different texts where they can further develop their guided reading learning. Today I was able to gain some understanding around how ICT can significantly increase mathematical results. School wide, teachers use a website called Maths Whiz which is a problem where each student has an account and works through levels online. This program is similar to that of mathletics but has a few key benefits. Maths Whiz provides the teacher with instant detailed information for each student regarding their results, time, skill, and improvement. My AT uses this information as a tool for also encouraging students to manage their own learning. In the past few weeks since the beginning of the year a number of the student have gained between 1-2 years on their mathematics level. My skepticism was that this is inaccurate but my AT said that he has noticed the improvement outside of this program in the students other work. I am blown away at how useful this tool appears to be whilst also being a tool that students are motivated to use and is easy for the teacher to use. Another website that the school uses is XtraMaths which again appears to be a really effective program. Throughout the whole years students work through levels which is all based on basic facts. The results from this program also were really outstanding according to my AT. A tool which is really helpful on this site is a teacher dashboard which displays all the results from the students working which enables the teacher to see exactly what basic facts each student is struggling on. Which then enables the teacher to directly help each student when they get stuck. With this available management learning can be focused and direct, which enables students to excel in their learning. Standard four of the graduating teacher standards states how teachers need to plan for a high quality teaching and learning environment. In order to create this learning environment teachers need to also apply with standard two which states teachers know about learners and how they learn. These two things really go hand and hand because the way teachers connect to their learners will significantly affect the learning environment. My AT has a strong emphasis on treating his students like young adults and ensuring that they know it. Throughout the day he will often mention to the students how he is not going to monitor them like little kids. From my observations this appears to be a really effective way of encouraging students to become responsible for their learning. 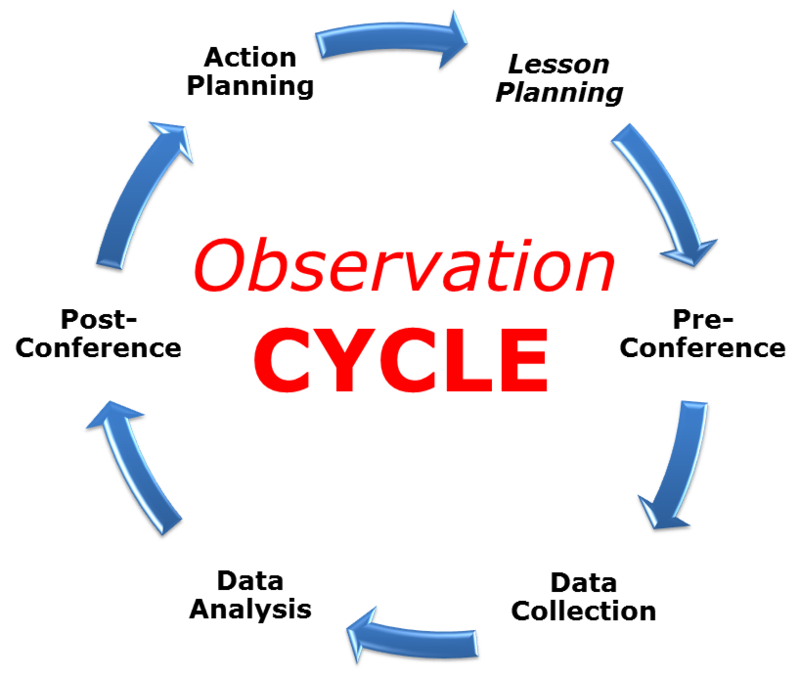 From discussion and observation students appeared to work more effective initially when they are left to do their work on their own. My AT said that he has noticed that students will become quickly reliant on the teacher, which results in the quality of their work decreasing. But at the same time when students have finished their work or are not clear what to do is when their work decreases as well. By treating students like young adults, students often become more interested in their learning because they are not getting spoon feed. This directly relates to evidence for teaching to move away from transmission learning. Therefore treating students like young adults it can set students up for future learning. Continuing on from my previous blog reflection I continued today looking into graduating teacher standard two and the pedagogy of, learn- create- share. In mathematics today again with problem solving, students were asked to comment on a blog post sharing their strategy and answer. From students posting their comments, they were able to see what their peers were doing and refine their thinking further. This posting also was set to increase students ability to share even though they might be wrong or different. Literacy is another area where this pedagogy is incorporated and it appears to be very effective to students’ learning. In a team meeting I attended discussion was raised around whether students knew when they were learning, creating or sharing. There was even thought that this fact should be made explicitly to the students. In literacy students read their text then complete a follow-up activity ending with sharing their follow-up activity usually via their blog site. Through sharing students are able to get a mindset of the importance of their work and also learn from their classmates and others. This pedagogy also aligns itself directly with the Key Competencies of The New Zealand Curriculum. In order for students to share with each other they need to have or be progressing in a number of competencies such as, relating to others and participating and contributing. Along with these students also need to be proficient in the other three competencies of thinking, using language symbols and texts, and managing self. Therefore it appears to me that this particular pedagogy sits well within The New Zealand Curriculum and is well suited to providing the education that the curriculum believes in. Standard two within the Graduating Teacher Standards specifically states how teachers must know about learners and how they learn. Point England School has a pedagogy called learn - create - share which underpins their daily teaching. Today I focused on my second goal and how this pedagogy is embraced within mathematics. At this time my class is doing problem solving and this is incorporated also with ICT. To begin the lesson the teacher went through the steps involved in problem solving as a whole class. Then students were presented with a problem and set to spend 10 minutes of silence where each student individually tried to solve the problem. Whilst this process was happening the teacher observed each student looking for the strategy that they were using to solve the problem. From this data the teacher then placed students into groups that consisted of students who were using different strategies. They then spent individual time students spend time in their groups discussing and sharing with each other what they did in their process to solve the problem. During this time students were encouraged to share even if they didn’t get an answer. The answer itself is not the important factor, but rather the process. This time is key because they are sharing what they have learnt therefore essentially teaching themselves and having young adult conversations about learning, and thinking. After sharing as a whole class each group then ICT was incorporated into their sharing. The students then used an app called educreations. With this app students were able to use an Ipad and write on the screen their working whilst also recording voice-over to explain their working. This then was shared online, where anyone in the world can access it and the students themselves can return to their work to gain further knowledge. Reflecting on this pedagogy in mathematics it appears to me as very effective and efficient. The widely known fact that humans learn through teaching learnt material is key here. Student are able to learn material then teach(share) others what they have learnt. Though creating and share students are required to use higher order thinking in order to explain themselves rather than simply solve a problem in their head. Also this pedagogy is key in the world because for example so often in the workforce employees are required to learn in order to create something which is then shared to others. This pedagogy also aligns itself nicely with the ‘current teaching pedagogies’ such as individual teaching, and competency learning. Therefore I believe that learn, create, share pedagogy has huge potential to teach our students effectively and efficiently.